Many students don’t realize that you only have three years to build your GPA for college. Because you apply to college early in your Senior year, you don’t have Senior grades yet, so you apply with your end-of-Junior-year GPA. This gives you three years to work hard for the GPA you want, to get into the colleges you hope to go to. But if things go wrong, as they sometimes will, there are some fixes for a troubled GPA. This is the number one way to end up with a great high school GPA. By starting strong, you actually set your GPA nice and high, while classes are the easiest. Then during Junior year, when classes are the hardest, your GPA can handle a B or two (or even maybe 3). If you got A’s in any high school level course that you took during middle school, then talk to your school counselor about possibly pulling these up onto your high school transcript. ONLY do this if you got A’s. B’s pull your GPA down. You should not do this if you have a really high class rank because, while not all high schools do class rank, colleges love it when they can actually claim to have students who were in the top 10%, so if you are in or near the top 10%, then don’t do anything that would drop your class rank. Adding unweighted A’s, at some high schools, can drop your rank! If you did poorly in a class, then definitely consider retaking it in summer school! Be sure to talk with your counselor first, to make sure the summer school course is approved. The ones offered by your school are usually the easiest and best way to go. Sign up early because they fill up. Summer school is miserable, so try to do well in the class the first time around–during the school year–when it’s free and not summer! Most high schools will allow you to retake a class during the next school year, even just one semester of it. Before signing up, talk to your counselor to be sure that this new grade will replace your bad grade. If your school does weight advanced classes when calculating your GPA (that is to say they give them more weight) then if you take lots of art and band and unweighted classes, those can bring down your GPA. This same concept applies to class rank. Sometimes a teacher will be willing to work with you to allow you to do some independent study work to repair a grade, if you had some tough circumstances in your life and the teacher knows about it. This varies from teacher to teacher and school to school, but it’s always worth asking about. DO NOT ask the teacher if they can help you fix your grade. (Teachers hate talking about points and grades.) DO ask the teacher if you might be able to retake/redo some of the work so that you can master the material for next year because you know you need to understand it. Your city may have a local business that offers classes which your school MAY (or may not) accept as replacements for classes on your transcript. These places are like special one-to-one schools where you are forced to master the material because you are the only student. These places are often a little spendy and you MUST make sure your counselor will accept the class before you take it, because your school may not! The best way to repair your GPA is to spend 20, 30 or 60 minutes more on your homework each night. You will be amazed at the difference this makes! Even reviewing material is very powerful. This can be a peer tutor, extra help after school from your teacher, or a tutor who comes to your house. Libraries also have tutoring services that are often free! As soon as you feel that you have a problem, get extra help! Don’t delay at all. Stay on top of your comprehension in a class because the class just keeps moving and it doesn’t just “get better” without you finding a solution. Your teachers are happy to help you after school. Go regularly and take your questions. Be prepared. Don’t just sit there and expect the teacher to think for you and tell you what to do. Go and do your homework in their classroom and then when you get stuck ask a question. This is VERY helpful because they see you trying, and they are the best person to help you get past confusing parts. You won’t always *love* every teacher; this is normal human nature. But it is your responsibility to hide your lack of love and be respectful. That is polite. Go get the help! 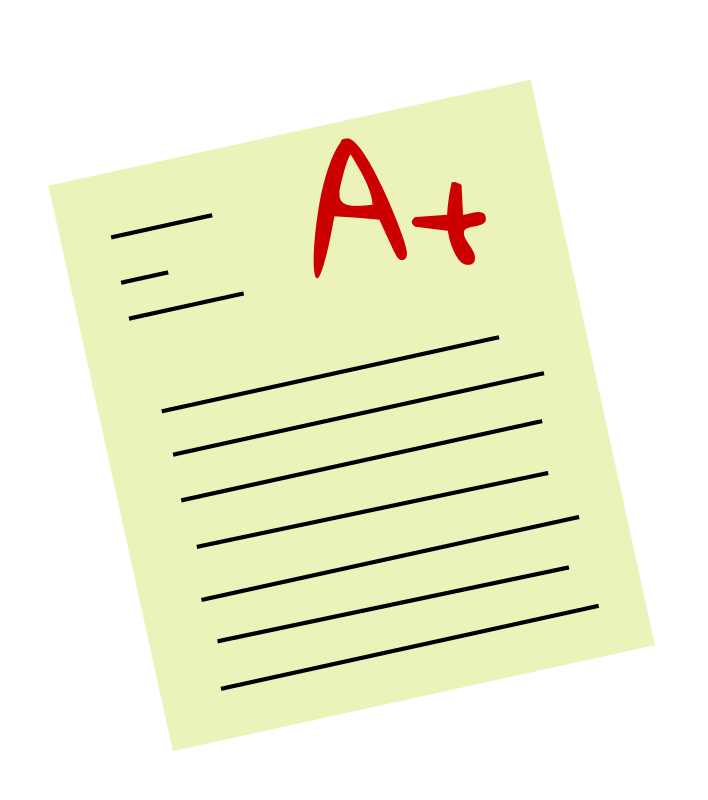 If Freshman year grades are dragging you down, some colleges, like San Diego State, Cal Poly, and Chapman, actually drop your freshman year grades from the GPA they calculate for your admission file. Colleges will evaluate you based only on your high school transcript. If your high school lists any high school level courses on your transcript *that you took during middle school* then that could be an issue because B’s don’t help your GPA and you don’t want unnecessary B’s on your transcript if you can help it! 🙂 If you have more questions, please post them in our Forum. Yay, college! what do you need to get a good gpa. IS it ok to have an A- or A instead of A+. what if you get an B+ or B- I languages classes and you A+ and A’s in Math would the English classes grade affect gpa. If you retake a course over the summer while in high school, will colleges be able to see your original grade or see that you re-took the course? I just have a 68 percent in language. My GPA is low and im a junior in high school and i try and try but I dont think i Will make it. So, if I get a bad grade in one of my classes that lowers my GPA, then retake the class over the summer in summer school, that will increase my GPA? Also, I’m considering dropping this class, and if I do, it will be as if I never took it…like it won’t show up on my transcript. Would it be wise to drop it instead of it potentially lowering my GPA in the future? Thanks! I’m a freshman BTW, and have a C in my Java elective. During my first semester in sophomore year I got an F on chemisrty so I went to summer school and a C in spanish. The rest of my transcript is all A’s and 2 B’s (I am a junior) What can I do to make the transcript look better. Do you think that it’s possible drastically change your class ranking in 2 years? Freshman ans Sophmore year i slacked off and i’m now a junior making most a’s and b’s. Do you think that i could change my class ranking drastically with all A/B’s for junior and senior year while Fresman and Sophmore i was mostly B/C? I’m a junior in high school, and my GPA’s already dropped .2 points this year due to a single C+. My AP classes are fine (A in APUSH and B in AP Bio), but do you think I’ll be able to pull my GPA up by the end of my senior year? I’m aiming for Premed school at GVSU, and I’m really freaking out now. Thanks in advance! Thanks for the tips! I was just wondering, can I post a question on here? I’m a senior, can I retake some classes that I did horribly in to improve my grade in those classes? Or is it too late? I have two C’s, three A’s, and a D(Which I’m working on) but my GPA hasn’t changed at all, and these are probably the best grades I’ve had in some of these classes. Is there anything else I can do? I don’t remember what grade I got on the high school class I took in eighth grade, but how much will I be able to raise it if I bring the C’s to B’s and the D back up to a B? Throughout my freshman and sophomore year I have 4 c’s, 3 in math and 1 in english. I have several b’s, in english geometry science foreign language arts social studies and gym. And i have 9 A’s in english social studies arts and phys ed. I retook my gym class since I got a 55 in freshman. I have one honors class in sophomore year and no honors in junior year. Does my 55, 70, 75, 75,75 affect my gpa badly? And does not having honors class for Junior really bad? I’m going to junior year next week can I improve my math class as well get more A’s? Will I be able to get over 3.0 gpa? Hi Tiffany! The best thing for you to do is to make an appointment with your counselor at school and go over everything to set grade goals for this year and see if you can redo any classes, in order to strengthen your GPA. You can also ask your counselor to help you see what your GPA for college applications will be if you get all As or half As this year, etc. Please let me know how that meeting goes! Did you ever have an answer for ‘If you retake a class and earn a higher grade, will colleges still see the original?’ I also have this question.